If you are looking for a professional, experienced, registered, factory trained kiln technician in Florida, call 321-292-0762 to make an appointment for Jason Outlaw of Outlaw Pottery, LLC to come to your home, school or business to diagnose your sick kiln. Jason Outlaw is... THE FLORIDA KILN DOCTOR. 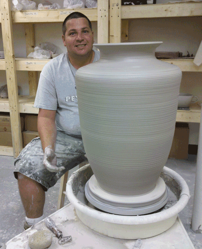 Jason Outlaw of Outlaw Pottery, LLC offers kiln repair, kiln relocation, kiln sales and kiln installation services and pottery wheel repair services throughout Florida. You are welcome to bring your equipment to us or Jason can come out to your studio, home, school, clubhouse or recreation center. Being located in Central Florida means we are just a few hours away from most locations in the state. 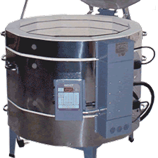 Have a broken kiln in need of repair? Need your kiln moved or installed? 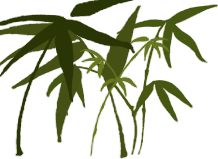 Looking for the Florida Kiln Doctor? 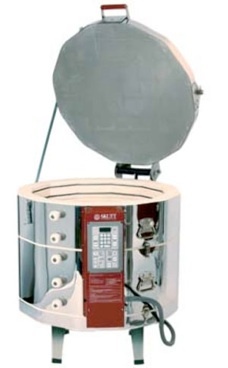 If you buy a used kiln on Craigslist that doesn't work, give us a call. 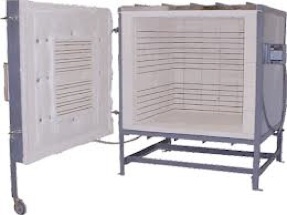 If you are moving and need a kiln professional to move your kiln, call us first. Sadly, we often receive calls to repair kilns after they have been moved and damaged by a moving company or electrician. Please call us before you move to avoid damages. We are an authorized vendor for many school systems in the state, and work with public schools, private schools, art museums, ceramics studios, pottery studios, private industry, artists, hobbyists... anyone with a kiln. Outlaw Pottery specializes in Kiln Sales & Installation with a full customer service package that includes helping you select the right kiln for your needs and facility, inspecting your facility to make sure you have everything you need for the day of kiln installation, kiln installation, warranty and kiln maintenance schedules. We will even teach you how to fire your new kiln and provide telephone assistance to walk you through the first couple of firings on your new kiln. Our new kiln customers received Outlaw Pottery’s instructional handouts to ensure optimum firing results. Outlaw Pottery & Art Studio, School, Gallery and Supply’s main office is located at 3475 N US 1, Unit 2, Cocoa, FL; with a satellite in Lake Worth, FL. We serve the entire state of Florida. For more information about Outlaw Pottery, visit our website: www.outlawpottery.com or call us at 321-292-0762 about our classes, finished pottery for sale, pottery supplies, workshops, and more.